President George W. Bush inspects a Reaper drone used to patrol the Arizona-Mexico border in 2007. Credit: Charles Ommanney, The Bureau Investigates. The Reaper drone, illustrated above, is a direct descendant of the Predator—the drone that initiated the modern age of remotely piloted warfare. They’re ginormous. They’re incredibly tiny. They film from two miles up, detect human breathing, drop bombs, and intercept texts out of thin air. By 2020, the faa estimates that 30,000 of them will occupy American skies. They’re a major threat to our democracy. And they’re coming home to roost. How does the military refer to drones? Drones have possessed several names: remotely piloted vehicles, unmanned aircraft, unmanned aerial vehicles. 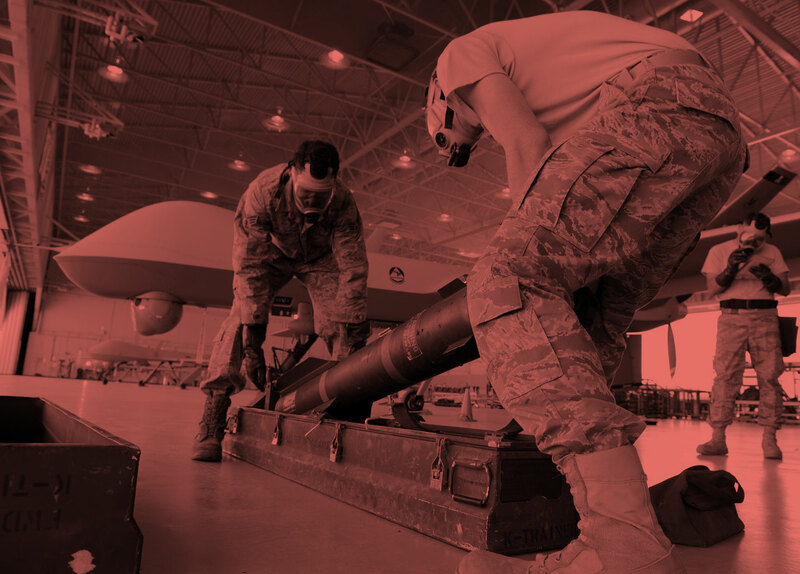 Only recently have they been called “drones.” The military uses “unmanned aircraft systems” (uas) in recognition of the components required to fly an aircraft without an onboard pilot. uas aircraft can be flown remotely or pre-programmed to fly autonomously and re-programmed from the ground while airborne. Are military drones flown autonomously? The Predator and Reaper can be programmed for autonomous flight or flown remotely by pilots on U.S. bases thousands of miles away. How many Predator and Reaper drones are operated by the Air Force? “The weapons’ names suggest ruthless and inhumane characteristics. The first drone aircraft deployed by the cia and Air Force after 2001 was the Predator,[a name] suggestive that the enemy was not human but merely prey, that military operations were not combat subject to the laws of war but a hunt. What does a military drone’s alpha numeric designation mean? General Atomics Aeronautical Systems, Inc. is contracted to develop a small, lightweight reconnaissance drone, later named the Predator RQ–1. Predators are first deployed into combat surveilling Serbian military forces during the Bosnian War. President George W. Bush takes office. The Predator successfully fires a Hellfire missile. The Predator is redesignated as the “MQ–1L,” indicating its capacity to surveil and kill. Al-Qaeda attacks the United States. The Predator reaps its first kill: Mohammed Atef, an al-Qaeda military commander in Afghanistan. The CIA deploys a Predator for the first time in a failed attempt to kill Osama bin Laden. The CIA begins a campaign of covert drone strikes against Taliban and al Qaeda militants in Pakistan. MQ–9 Reaper drones are deployed in Iraq. President Barack Obama takes office. Three days after taking office, President Obama continues the previous administration’s tactic of targeted killings by ordering a series of drone strikes, killing an estimated 20 people. One of the strikes targeted the wrong house, killing an entire family, including three children. The CIA kills an American citizen by drone strike for the first time. Two Predators target and kill Anwar al-Awlaki, a U.S.-born Islamic militant cleric. President Obama speaking at an online town hall meeting. A five-month suspension of drone strikes in Pakistan begins, the longest since 2004. The Bureau of Investigative Journalism reports the CIA has carried out 383 drone strikes in Pakistan since 2004, killing an estimated 416 to 957 civilians. Drone strikes in Pakistan resume. How does the bigger, faster, deadlier Reaper drone compare to the Predator? The Predator drone was conceived as a reconnaissance drone. Within six years of its initial deployment in the Bosnian War, the Air Force weaponized the Predator to launch Hellfire missiles. Its faster, deadlier sibling—the Reaper drone—was deemed a “hunter-killer” to distinguish it as intentionally designed to seek-and-strike targets. What are the major design features of the MQ–9 Reaper? Airmen prepare to load an AGM–114 missile onto a Reaper drone. Credit: Staff Sgt. Alice Moore, The U.S. Air Force. How deadly is the Reaper? 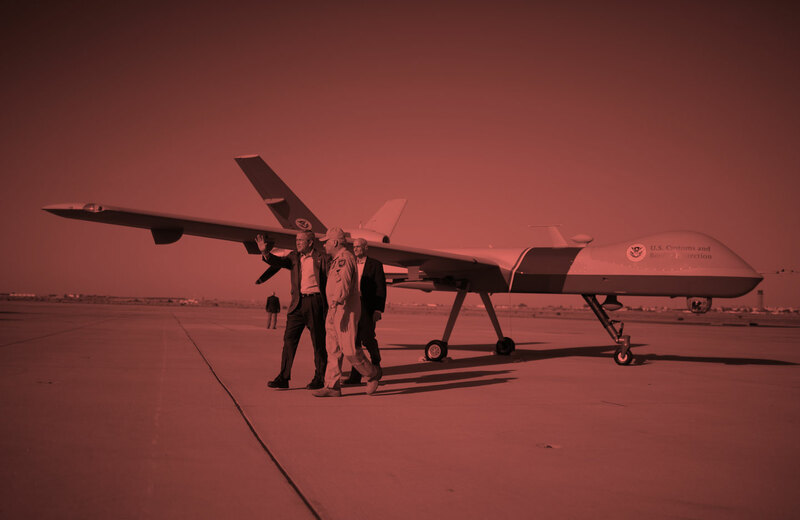 For over a decade, drones have served as the primary weapon in a covert war across the Middle East, Pakistan, and Somalia. The Obama administration has referred to these drone strikes as “surgical” and capable of targeting individuals with “laser-like focus.” The reality is less precise. Blast radii vary from as little as a few feet to up to twenty meters in diameter. 100-pound Hellfire missiles can obliterate anyone within up to 60 feet of the intended target. Vertical casualty radii of a Reaper’s weapon payload. Casualty radii of a Reaper’s weapon payload across Fenway Park. Fragments of an AGM–114 Hellfire missile recovered by the survivors of CIA drone strikes in Pakistan. Credit: Noor Behram, Wired. Whom has the U.S. Customs and Border Protection (cpb) flown missions for? For the past decade, the cpb has routinely flown drones in the U.S., however little is known about the agency’s drone program. 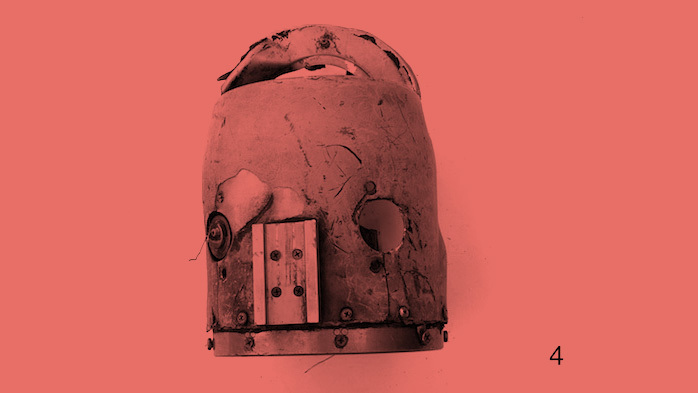 In 2011, the Electronic Frontier Foundation filed suit against the cpb for more information. 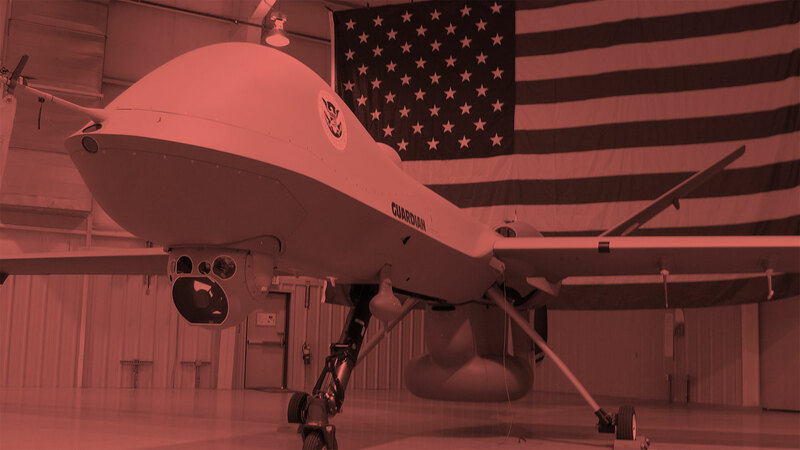 The cpb released three years of flight logs revealing that they continuously lent their fleet of Predator and Reaper drones to an increasing number of agencies for hundreds of missions unrelated to border security. How many missions did the cpb fly for other agencies? Which agencies did the cpb fly the most missions for? How many drones are flown by the cpb? What is the range of the cpb’s surveillance program? How will our skies appear when law enforcement agencies, corporations, and citizens begin flying drones next year? Who has been authorized to fly drones in the U.S.; what drones have they flown? Since 1990, the Federal Aviation Administration (faa) has authorized public agencies to fly drones inside of the country including the military and the Department of Homeland Security. Little was known about whom else received permission until 2012 when, under the Freedom of Information Act, the Electronic Frontier Foundation sued the faa for information about its authorization program. The faa released several thousand unorganized, heavily-redacted documents which reveal they have authorized over 40 agencies to operate nearly 100 different drones. Notable drones and who flew them are summarized below. Case studies of authorized drones, who flew them where, and why are available for download. Six-rotor helicoptor equipped with a 20-megapixel still camera, video camera. Fixed-wing high-altitude surveillance drone developed for the military. Four-rotor helicopter developed to transmit live-video to first responders. Fixed-wing hand-launched military drone capable of remote or autonomous flight. Fixed-wing intelligence, surveillance, and reconnaissance military drone. Ducted-fan “micro” military drone suitable for singe-person carry and operation. Fixed-wing “micro” military drone capable of land and maritime operation. How long until the faa opens our nation’s airspace to drones? How many drones are estimated to fly our nation’s airspace by 2020? How many manned aircraft are expected to fly in the U.S. by 2020? What will the estimated ratio of drones to manned aircraft be in 2020? Drones are coming home to roost. June 16, 2014. ¶ In February of 2012 Congress told the Federal Aviation Administration (faa) to open the national airspace to drone traffic by September of 2015. In 2013 the faa released the “Civil UAS Roadmap:” a plan to pave the skyways by clearing the regulations that have thus far kept government and private domestic drones at bay (for the most part) and creating a new regulatory infrastructure to welcome drones home. Privacy means more than not being watched for illegal activity. Privacy—the secret ballot—is the foundation of democracy. Surveillance undermines the secret ballot because when the government knows what you read, who you associate with, and what you talk about, it knows how you vote. And now, if the government doesn’t like how you vote—or what you read, write, or talk about for that matter—they can send the military to follow you around and monitor everything you do with a flying robot. They’ll have the rights to spy on you anywhere. Consider the Fourth Amendment out the window. With the approval from the Secretary of Defense, the Air Force will have the right to fly surveillance drones to collect information on targeted civilians without warrant. The Air Force may keep the data on record up to 90 days before it determines whether to retain the material. Customs and Border Protection is already contemplating weaponizing its drones. Though not yet approved, drones outfitted with rubber bullets are a real possibility. By 2015, protests could be controlled by armed police and federal drones. It doesn’t matter if you have nothing to hide. This is really, really not good for democracy. This is the military policing us; that’s called martial law. By 2020, the faa estimates that 30,000 drones owned by the military, police departments, local governments, and corporations will occupy American skies. Consider that drones can film you in detail from two miles up, intercept your texts out of thin air, slurp up data from your computer through your Wi-Fi network, and detect human breathing. The nsa will no longer need to get its data from your service provider. 30,000 drones will mean blanket surveillance. Want to keep up on the things we make? Oops…please provide your email address.